Some children’s books and fables stay with you for the rest of your life. So on World Children’s Book Day, we’ve chosen our 3 favourites. (And show just why they’re such iconic children’s books). Martina Appolis realised early in her career that she wanted to be a small business owner. So working her way up over time, Martina registered as a contractor in 2013. 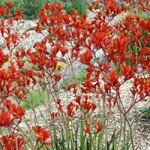 It’s quite simply not that easy to remove any invasive alien plant. Each species requires a different technique to try to prevent it from re-growing. Does the wildflower harvesting industry need a Sustainable Flower Harvesting Assurance System – and if so, how should it be structured to add value to the industry and make business sense? 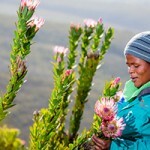 What does it mean to pick Fynbos sustainably? There are a couple of things you should do – and some things you really shouldn’t do, when picking Fynbos if you’re wanting to pick responsibly. Three new and emerging invasive alien species are being targeted on the Agulhas Plain. The plan is to rid the area of these three species – before they spread beyond their current farm boundaries, threatening our region’s biodiversity.